Erwin R. Tiongson is a Senior Economist in the World Bank's Europe and Central Asia (ECA) regional unit, where he currently works on issues related to enterprise activity, labor markets, and migration. He is also a member of ECA’s Migration and Remittances Peer-Assisted Learning (MIRPAL) network, an international forum for discussing migration policies and practice. In 2010, he organized a Global Economic Symposium session on portable unemployment insurance for migrant workers. He recently served as Associate Professor at the Asian Institute of Management (AIM) while on leave from the World Bank. He is lead author of The Crisis Hits Home: Stress Testing Households in Europe and Central Asia (Washington: World Bank, 2010) and has published articles in the International Migration Review, Oxford Development Studies, Review of Development Economics, Economics of Education Review, and other academic journals. He is a Research Fellow of Das Institut zur Zukunft der Arbeit (IZA) (Institute for the Study of Labor) in Bonn, Germany. He holds a Ph.D. in Economics from The George Washington University. 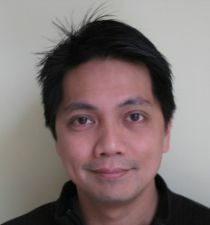 Erwin Tiongson joined CReAM as an external fellow in February 2012.